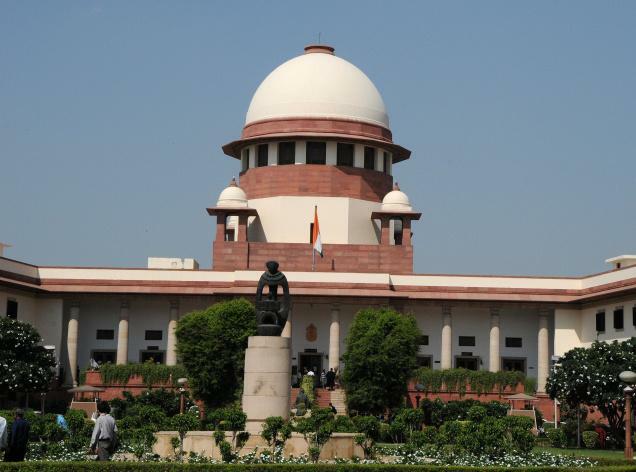 The Supreme Court on Wednesday commenced the crucial hearing to examine the power of the Union and States to grant remission for releasing convicts whose death sentences are commuted to life term with the Centre asserting that the rights of the victims cannot be overlooked. The issue of remission reached the apex court after the Tamil Nadu government took a decision to remit the sentences of all seven convicts in the Rajiv Gandhi assassination case, after the apex court commuted their death sentence to life imprisonment. Briefly going into the background, a five-judge Constitution Bench headed by Chief Justice R.M. Lodha wanted to fix the time-frame of two whole working days for completing the hearing on the matter but Solicitor-General Ranjit Kumar cautioned by saying that it cannot be done in a hurry as several important issues have to be addressed. “There are seven questions referred to the Constitution Bench. It will take a long time as important questions have to be decided. The very question, whether there is a right to claim remission, is important,” he submitted before the bench, also comprising justices J.S. Khehar, J. Chelameswar, A.K. Sikri and Rohinton Nariman. The Solicitor-General said the Constitution Bench will also have to decide that on commutation of death sentence to life term whether life imprisonment meant jail term for rest of the life or a convict has a right to claim remission after 14 years of prison. He said another question that needs to be determined is the need to look into the rights of the victims. “Whether there is a right of victims at any stage while death penalty is taken into consideration for hearing of commuting into life imprisonment or whether the State can without referring to the victims decide on remission,” Mr. Kumar said. The hearing commenced in the background of the interim order of the apex court which on July 9, 2014 restrained all States from exercising power of remission for releasing convicts from jail who are serving life sentence and sought their response whether the Centre’s nod was needed for the purpose in cases prosecuted by central agencies like the CBI. However, after serving of the notices, responses are yet to come from several States while some have placed the policy followed by them on the issue, the Solicitor-General said. The bench had also made it clear that there was need for a categorical response “whether in CBI cases, States have any role on the question of remission to life convicts”. The issue of remission was referred to the Constitution Bench after the Centre had challenged the Tamil Nadu government’s decision to remit the sentences of all seven convicts in the Rajiv Gandhi assassination case. The court had on February 20, 2014 stayed the Tamil Nadu government’s decision to release three convicts — Murugan, Santhan and Arivu — whose death sentence was commuted to life term by it on February 18 in the case. It had later on also stayed release of four other convicts Nalini, Robert Pious, Jayakumar and Ravichandran in the case, saying there were procedural lapses on the part of the state government. “Today Tamil Nadu has exercised power (of remission). Tomorrow other States would also,” Mr. Kumar had submitted while reading out the April 25, 2014 order of the apex court when the matter was referred to the Constitution Bench by framing the issues that need to be deliberated. The Solicitor-General had said in the cases filed by the CBI or other central agencies, the Central government is the appropriate authority to take such calls. The bench had also made it clear that it would not go beyond the questions which were framed in the Reference. However, during the brief hearing, the bench had also posed a question to the Centre about how the writ petition was maintainable in the case in hand. “How is the writ petition maintainable? You have to file a written submission on the question of maintainability,” it said. The Jayalalithaa government had on February 19 decided to set free all the seven convicts who have been in jail for 23 years for their role in Rajiv Gandhi’s assassination on May 21, 1991 in Sriperumbudur. The apex court had referred the case to the Constitution Bench saying this issue has been raised for the first time before the court and an authoritative pronouncement is required on the matter which could have wide ramifications. “Accordingly, we refer this matter to the Constitution Bench to decide the issue pertaining to whether once power of remission under Article 72 (by the President) or 161 (by Governor) or by this Court exercising Constitutional power under Article 32 is exercised, is there any scope for further consideration for remission by the executive,” it had said.